3dp4me plans to purchase the scanner when it becomes available, possibly in late 2019. 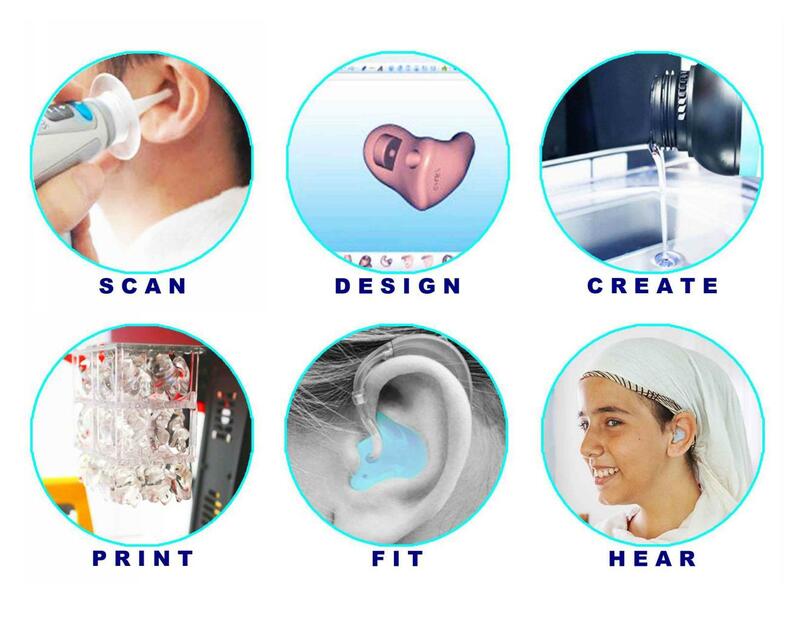 The Lantos 3D Ear Scanner will have immediate benefits for our clients, collaborating partners, and 3dp4me. 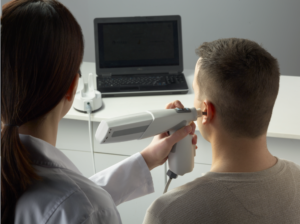 The 3D Ear Scanner digitally maps the topography of your ear all the way down to your eardrum. The scanner collects over 100,000 data points, creating a 3D image of the unique geometry of the client’s ear. To make sure we get a perfectly tailored and comfortable fit. A disposable membrane is inflated to conform to your ear’s unique anatomy and a 3D digital model is built in real time using the digital data points collected. 1) Scan the ear directly, using the Lantos 3D Ear Scanner. 2) Design the digital model using Cyfex Software to prepare the stl file for 3D Printing. 3) 3D print the ear mold, using Asiga PRO2. 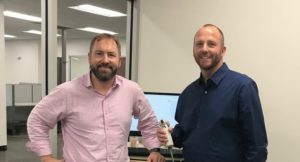 Jason Szolomayer completed some training with Dr. Brian Fligor, using the new 3D ear scanner. Jason traveled to the Lantos Technologies office in Boston, during the fall of 2018.